Letter Of The Week! Bb! 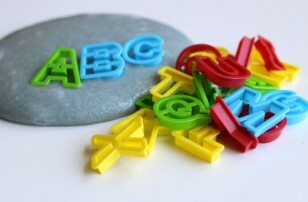 As your child shows interest in letters it’s a great time to find activities that help foster that interest, and as you may expect my suggestions do not include flash cards! Gather your materials. 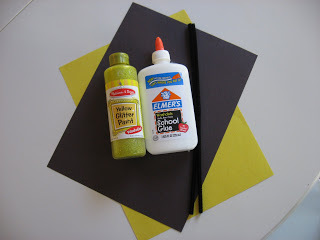 You will need some white or yellow construction paper, some black paper, a pipe cleaner, some yellow paint , scissors and glue. 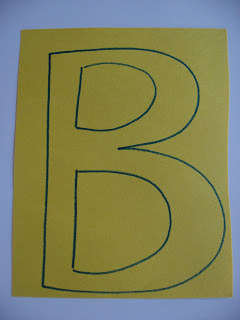 Draw a large B on your yellow or white construction paper. 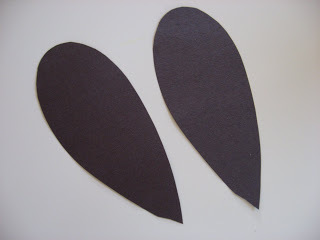 Cut the outline out but do not cut the insides of the B out, unless you are doing this with an older child, it makes the B very fragile and will probably end up ripped. 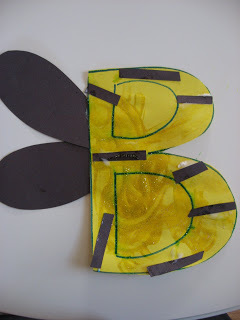 Have your child paint the B, I am using glitter paint because it’s my favorite but you can use whatever you like, or skip this step all together. 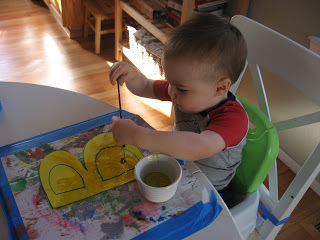 While your child is painting using the black paper cut out some wings and stripes. Have your child glue the stripes on the B. Glue the wings on the underside of the B.
Thread the pipe cleaner half way through the B, I made sure I did this at a spot where there was a black stripe to give it extra strength, bend the pipe cleaner into antennae. Let dry and cut out the insides of the B. 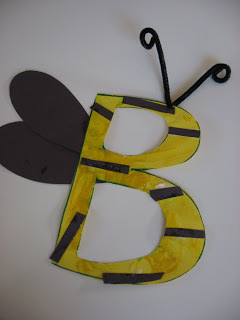 If you want you can also glue the B onto a full size piece of construction paper for added stability. A great way to introduce a letter of the week to your child is to fill a box with items starting with that letter. This morning after breakfast my son and I sat down and pulled lots of fun things out of our box. A Ball, Blocks, Books and Big Beads were all in there! 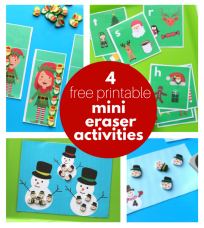 The best part about this activity is that you use things around your house, and you can use it for letters, colors and shapes! 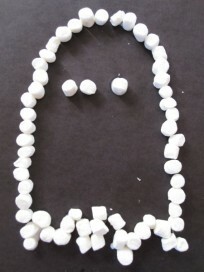 This is a fun activity for older preschoolers, I had fun doing this with my PreK class a few years ago! 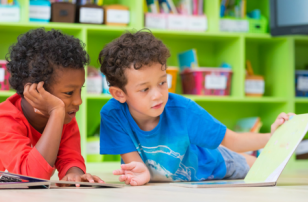 What you do is write a short story leaving blanks for your child to fill in with words starting with the letter of the week. 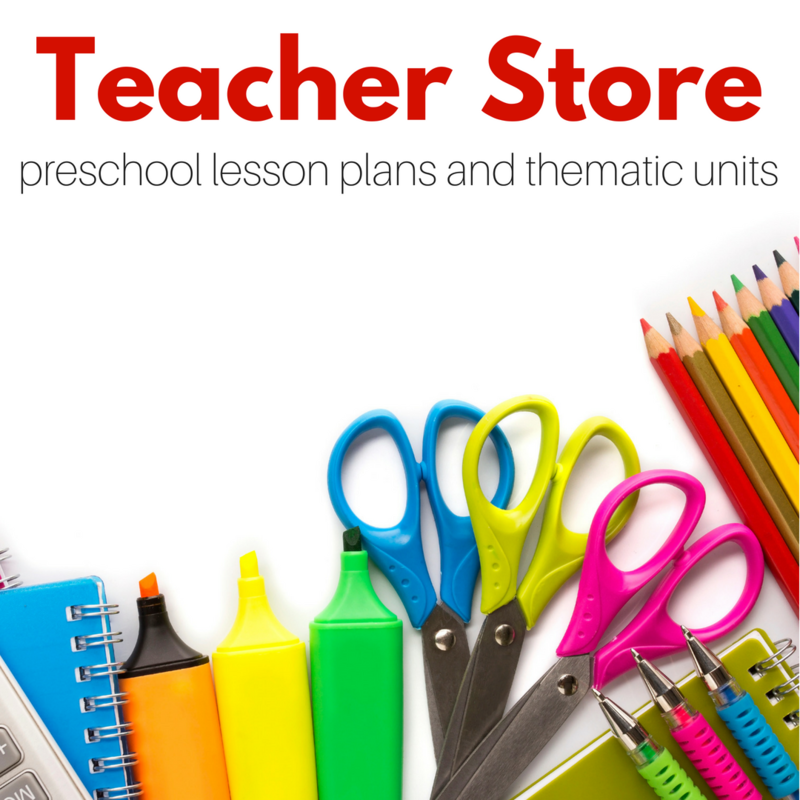 The results will make both of you giggle, and your child will be learning too! Mr. _________ was a funny old man, he lived in a _________ house with a pet _______ ! When he went to the grocery store he bought lots of _________ , I think that was all he ever ate! 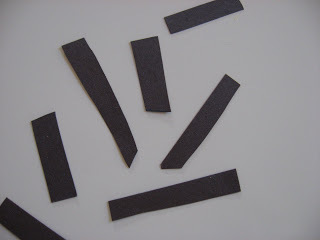 He wore silly things too, he would wear ________ on his feet and _______ on his head! 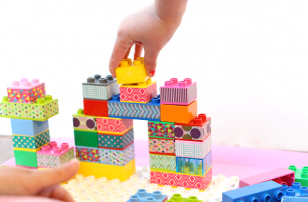 Remember to keep it short so that your child stays interested, you want them to be challenged , not frustrated! Next Post: It’s A Wrap! This is a great idea! We’re going to go do it right now. Thanks! 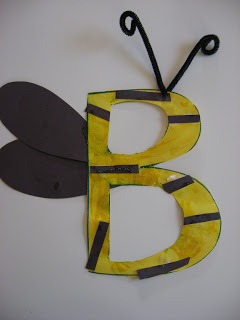 .-= Elizabeth´s last blog ..B is for Bumblebee =-. I was just wondering if you had any more of the “Letter of the week” stories? I think this is an amazing idea. Did it today with the letter B and the kids got a kick out of it.